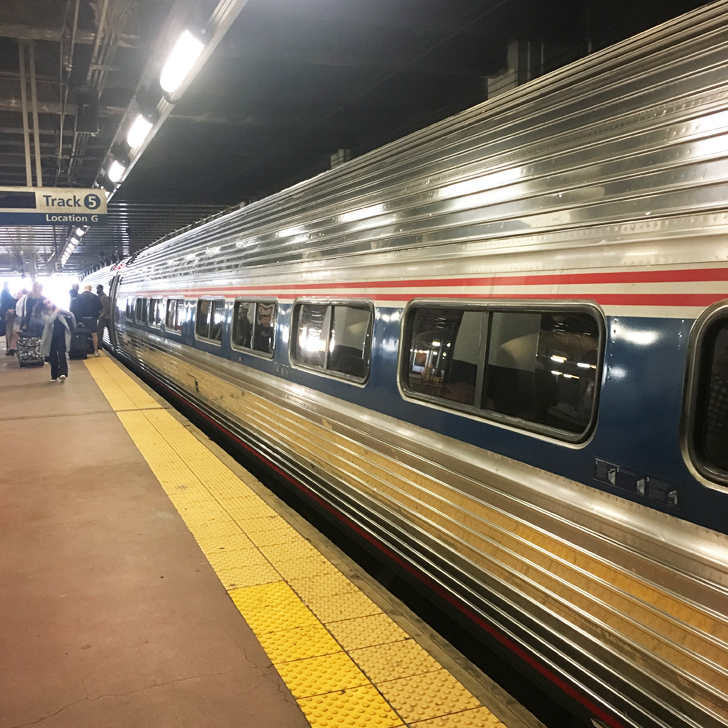 Our train was set to leave at 8.10 am, so to ensure we’d have enough time to work out where to go (am I the only one that gets lost in Penn Station EVERY SINGLE TIME? The whole two level thing just confuses me so much and I end up walking several rounds before getting to where I want to be) and also grab breakfast on the way, we left the hotel early enough. 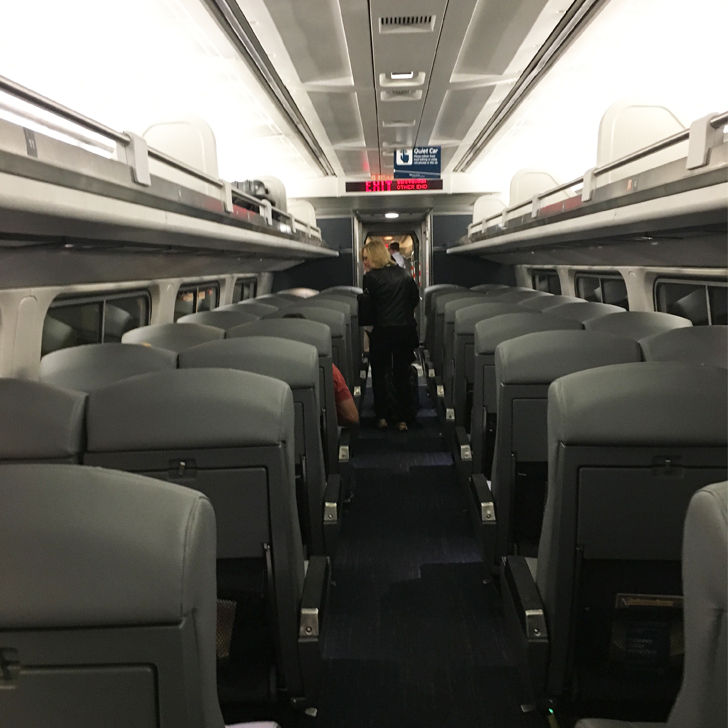 There didn’t seem to be any reserved seats on the Amtrak train (and I couldn’t find an option for adding seats during booking), so it was first come first serve. 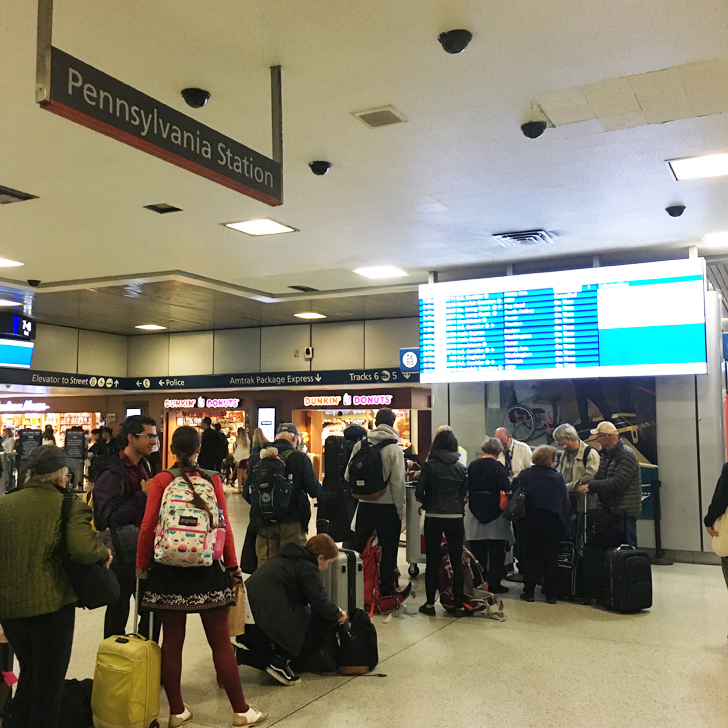 As Penn Station was the starting point of the journey, it wasn’t too bad and we managed to find seats, however along the journey the train filled up quite a bit. 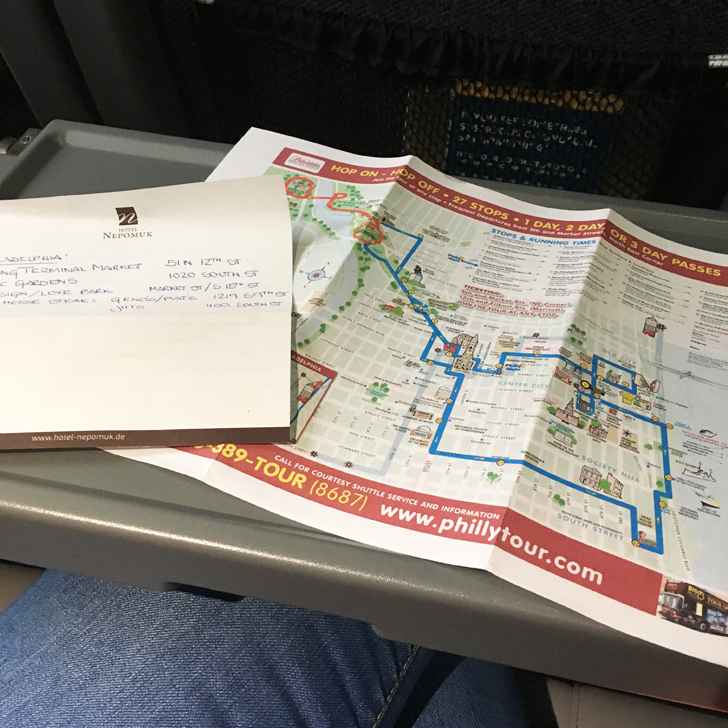 In addition to having our breakfast and enjoying the views en route, we used the journey time to finally check our printed out street map and work out where we would like to go (as we were only having one day in Philadelphia, I refrained from buying a travel guide and relied on recommendations found in blog posts and given by friends). 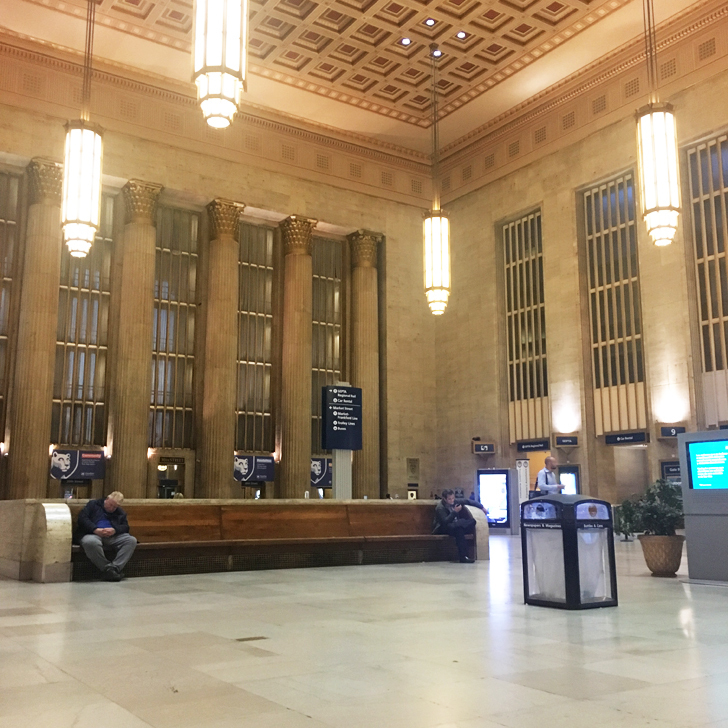 Arriving at 30th Street, we grabbed a free visitor’s map (a bit more detailed than the printed out one we already had with us) and started walking. 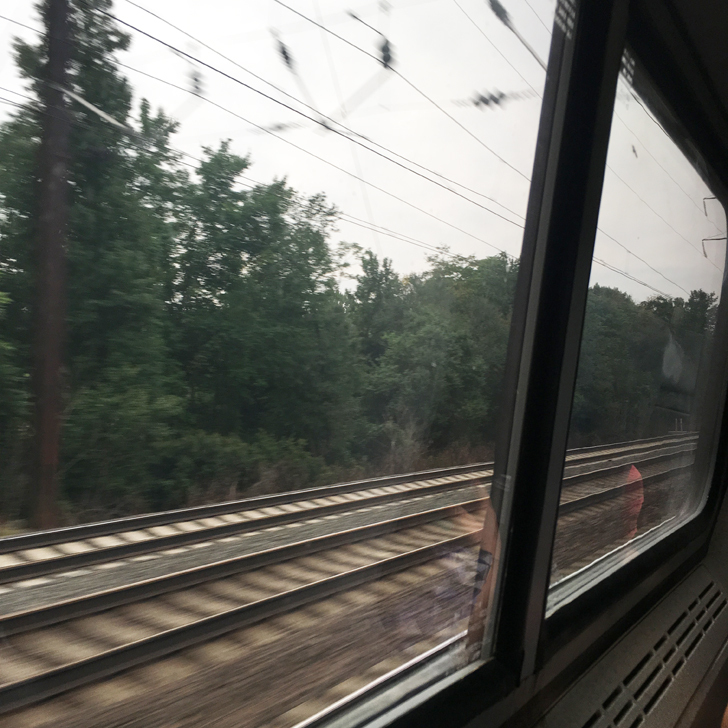 No time to waste on our day trip to Philadelphia. 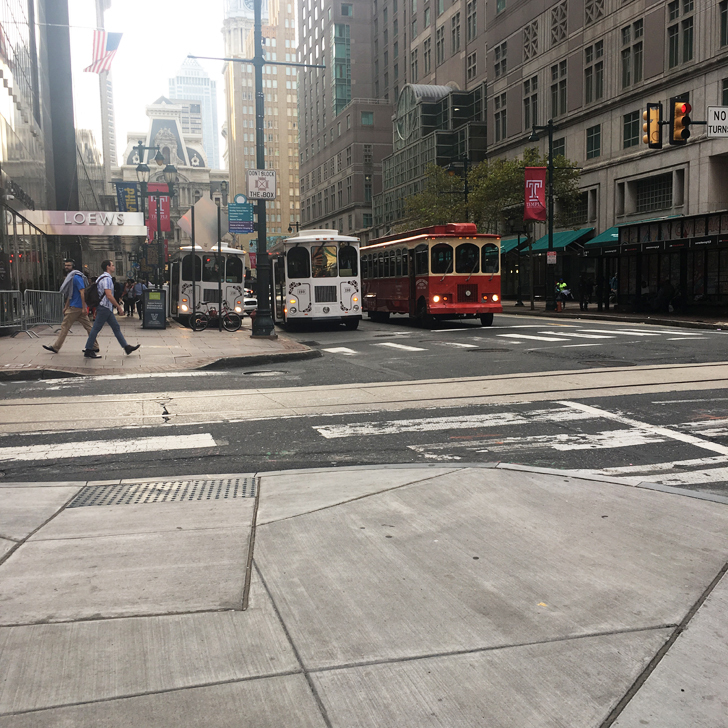 Obviously Philadelphia does have public transport and there are both busses and subways available. But I can’t comment on them, as we didn’t use any. Instead of buying a day ticket (or god forbid even using one of those Hop-On Hop-Off busses) we walked everywhere. A whopping 38000 steps by the end of the day. 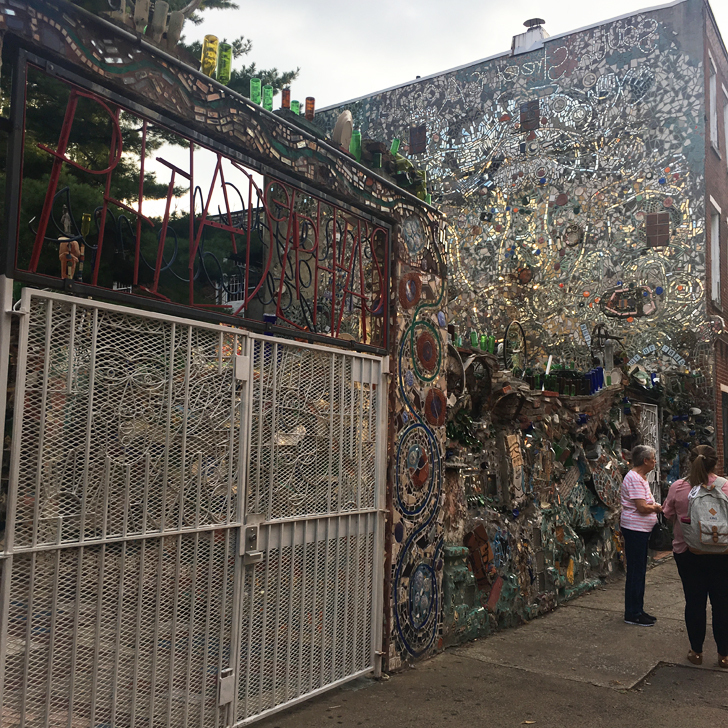 Needless to say that it is sheer impossible to see everything in Philadelphia in just one day. So we focused on the City Centre instead. Heading down Market Street we fairly quickly arrived at Penn Circle and City Hall. For time reasons we did not actually go into City Hall, however you can visit the City Hall and go up the tower if you fancy, tickets are $8 for adults and kids go free. Just to the left of the City Hall is the Love Statue. Obviously we had to go there and snap some photos (well stand in line until everyone else had taken their photos first). 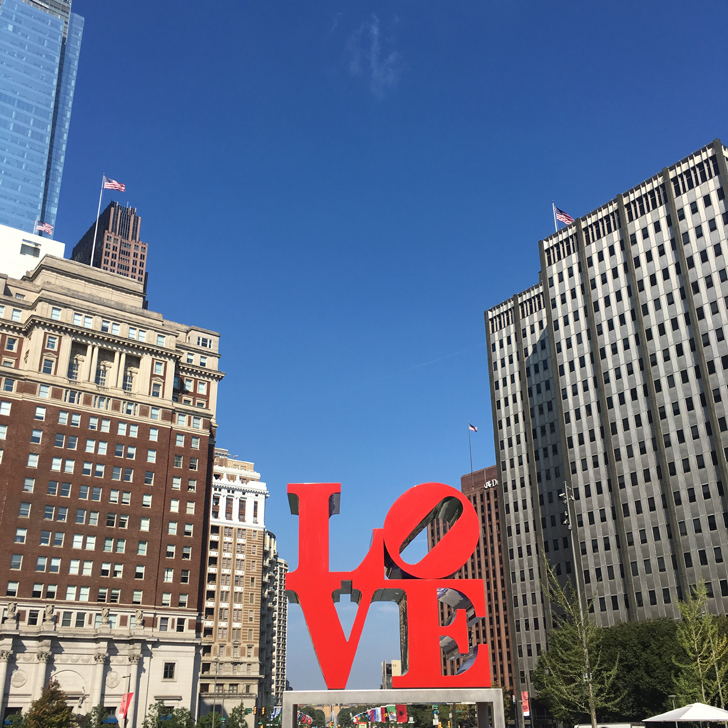 Continue the avenue behind the Love Statue and you’ll reach the Philadelphia Museum of Art, but we missed out that part of town completely and focused on the town center instead. 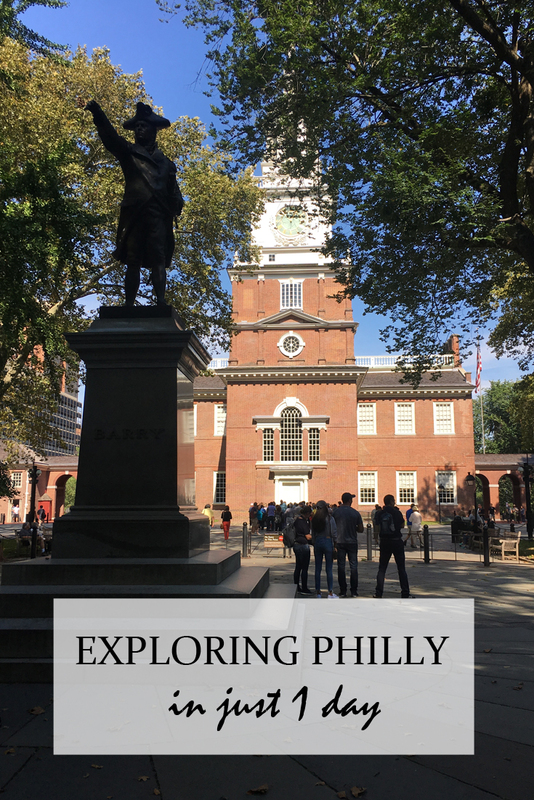 If we had more time than just a day trip to Philadelphia (so hopefully next time) we would have included Fairmount Park and maybe even the Philadelphia Zoo in our tour. 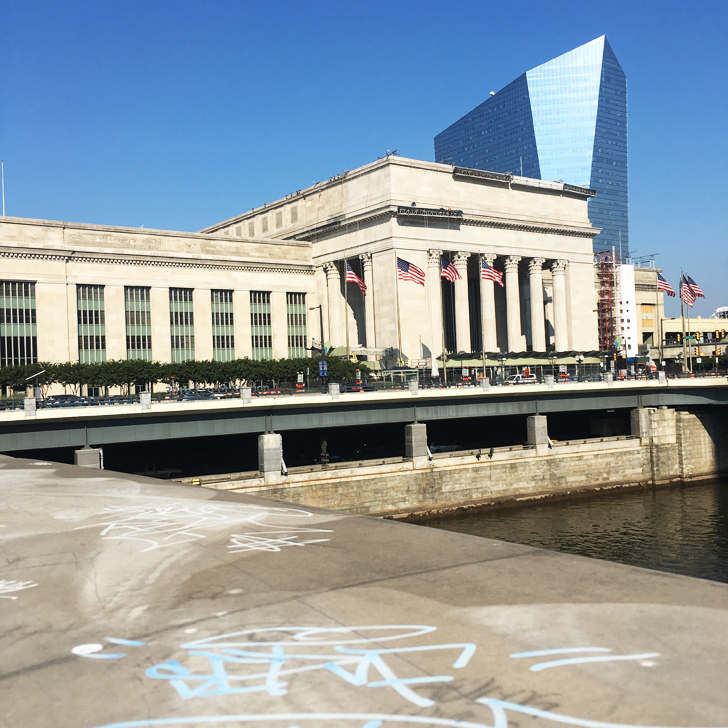 As we kept zickzacking along the roads, we came past a few very pretty buildings and eventually make our way to the Reading Terminal Market. 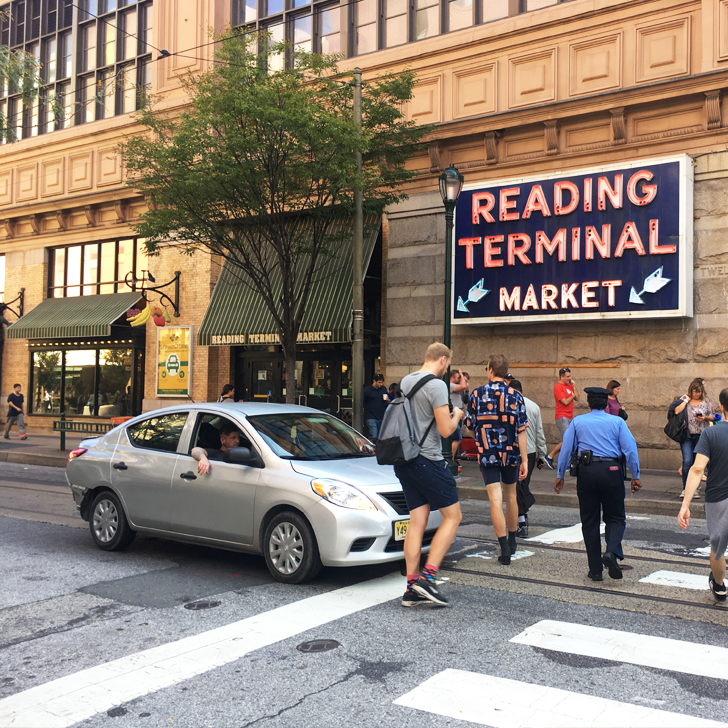 Situated just off Market Street between 11th and 12th Street (around the corner from the Hard Rock Café, if you are into that), Reading Terminal Market is apparently one of America’s oldest and largest public markets. An indoor market in an old brick building, it offers a great selection of fresh and local produce, both as ingredients to take home and ready made to eat. We arrived a little early for lunch, but that gave us a chance to have a wander through first (and before it filled up with people) before deciding on our lunch. 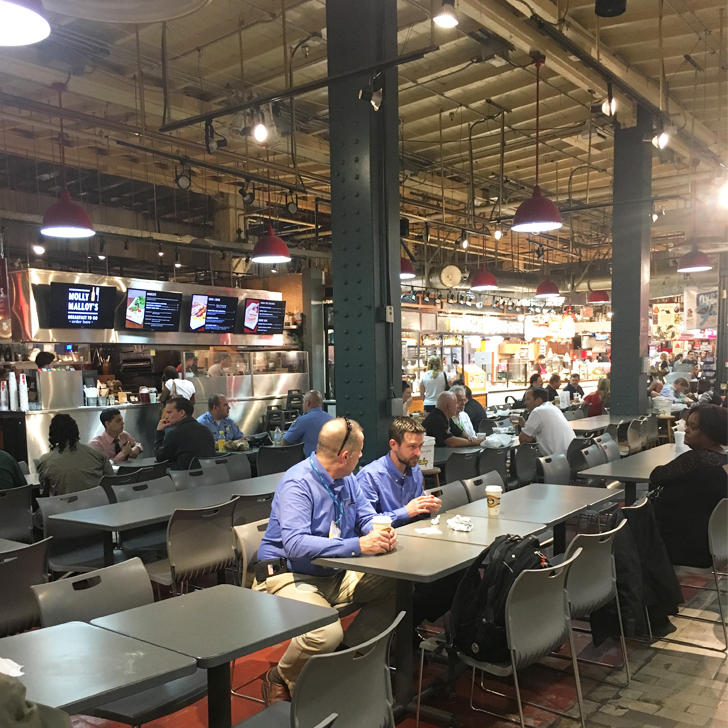 What I love about this type of market halls (similar to the Time Out Market in Lisbon or the Dekalb Market Hall in Brooklyn for example), it allows everyone to decide on their own food and then sit together in central seating areas. So much easier than having to agree on one specific restaurant. 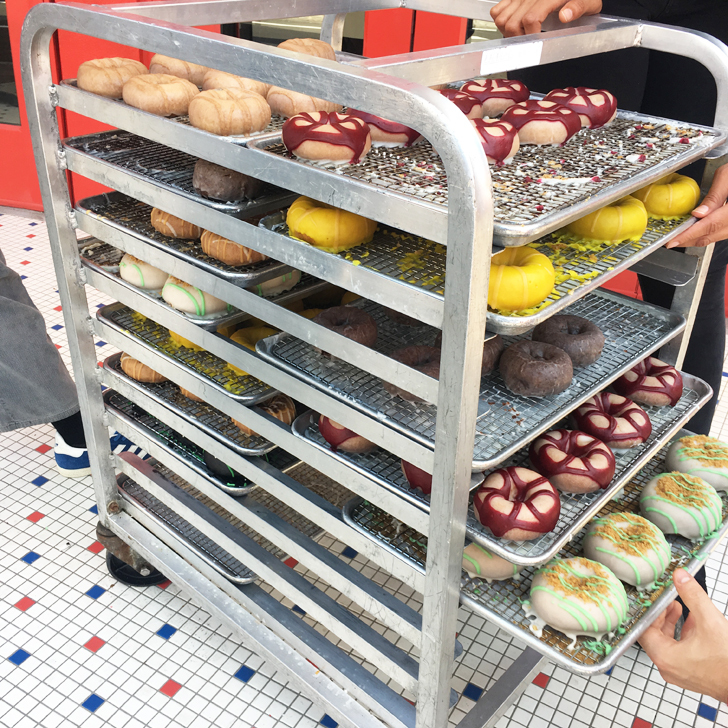 Especially if you want to try it all (and believe me, we would have happily ate our body weight worth of food in there). I eventually opted for a Deli Roast Beef sandwich at Hatville Deli, whereas Mr T went for an Italian baguette from By George. Followed by some handmade s’mores marshmallow for me and pretzel dogs for Mr T (I mean you only live once, so let’s forget about that diet for a day). After all that food it was about time to walk it all off again (or at least try). 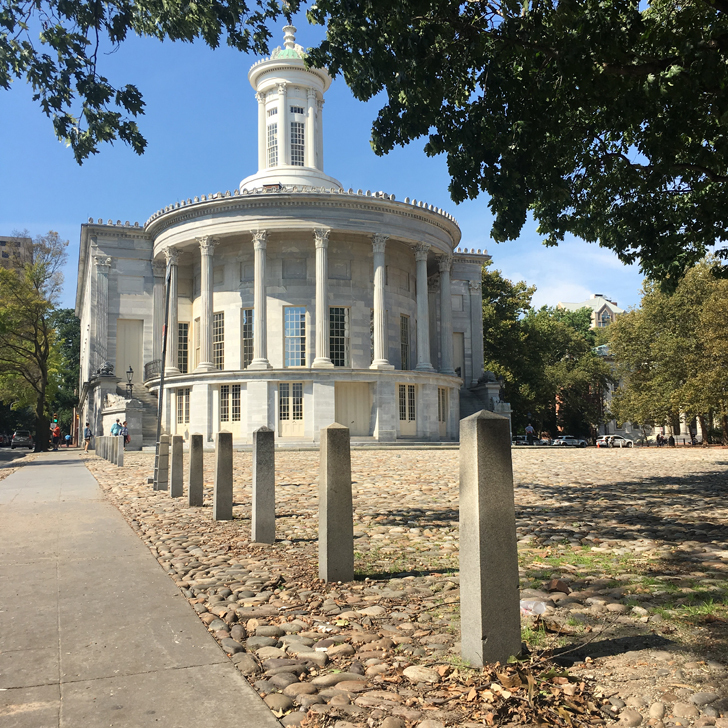 We somehow managed to miss Chinatown (no idea how, as it was just behind the market) and instead continued on towards the Independence National Historical Park. 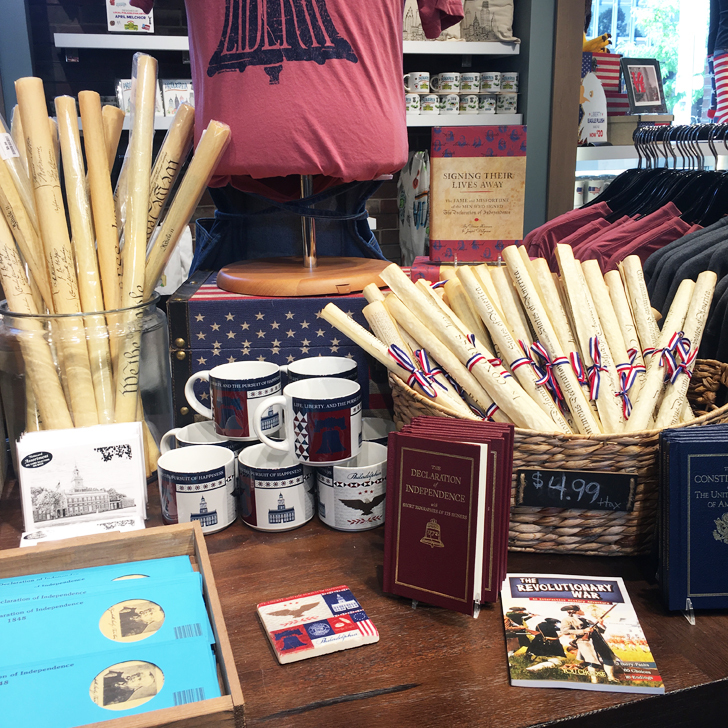 There you will find the Independence Visitors Center, the National Constitution Center, the Independence Hall and Liberty Bell. We made a brief stop at the Visitors Center, but then continued towards the waterfront (as we were planning on coming back to this area later). ‘Penn’s Landing Festival Pier’ somehow sounded a little grander than it actually was (also it being mid September it was more or less end of season, which clearly showed), so we didn’t spend too much time here. 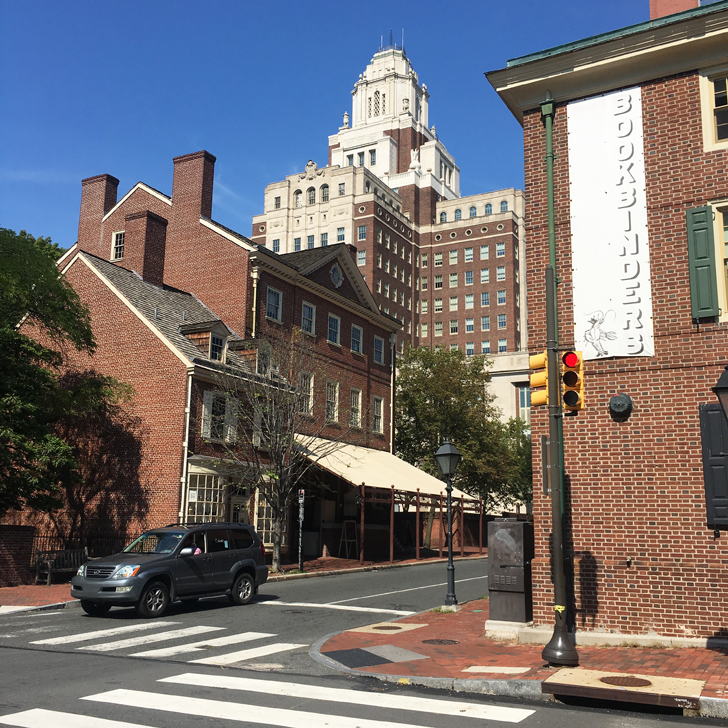 Instead we walk back along Walnut Street (well worth a walk, picture perfect cobbled streets and beautiful houses) until we reached the Old City Hall. 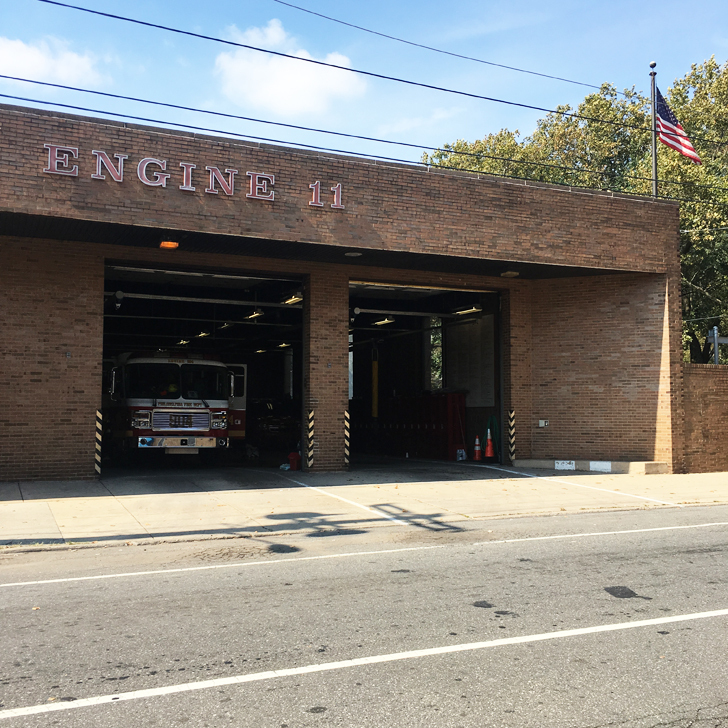 We had a good look around the buildings, but only from the outside. 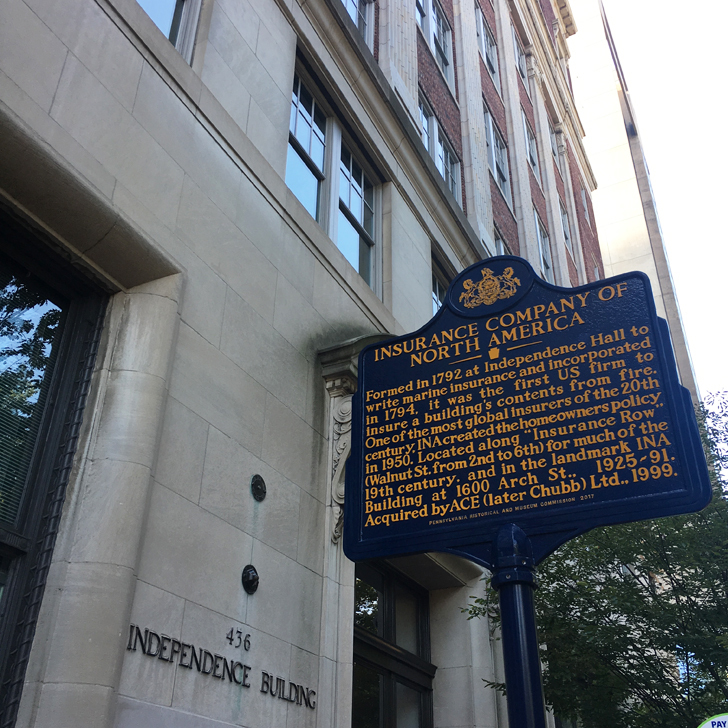 We did briefly consider going in, as I would have liked to see the Liberty Bell. But a quick look at the masses of people very quickly changed my mind. Although you don’t need to purchase a ticket to get in, you will have to pass a security screening and thanks to said queue, this would have taken a while. 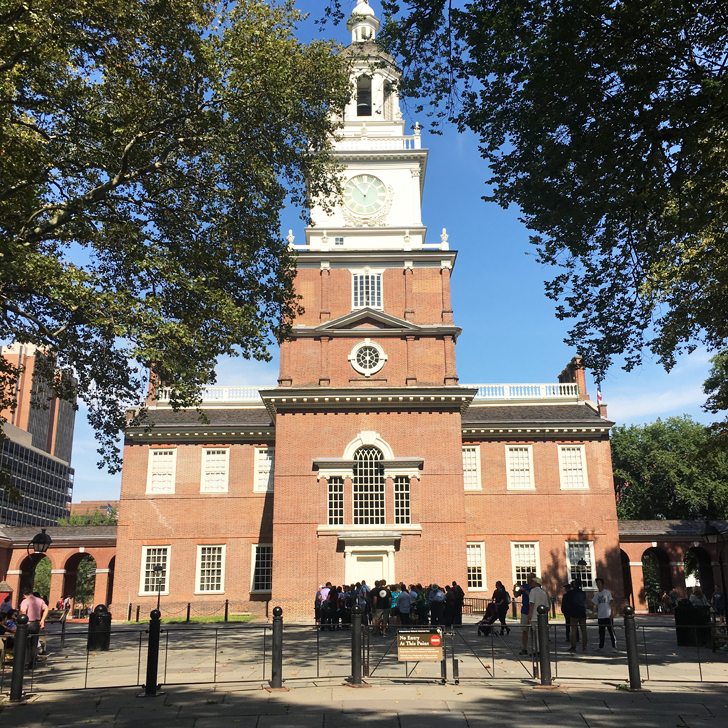 If you do have more time, for sure Independence Hall and Liberty Bell should be on your list of must-see places in Philadelphia, however if like us you only have one day to explore Philly, you have to rationalise and make the most of it. So a brief overview it was for now. 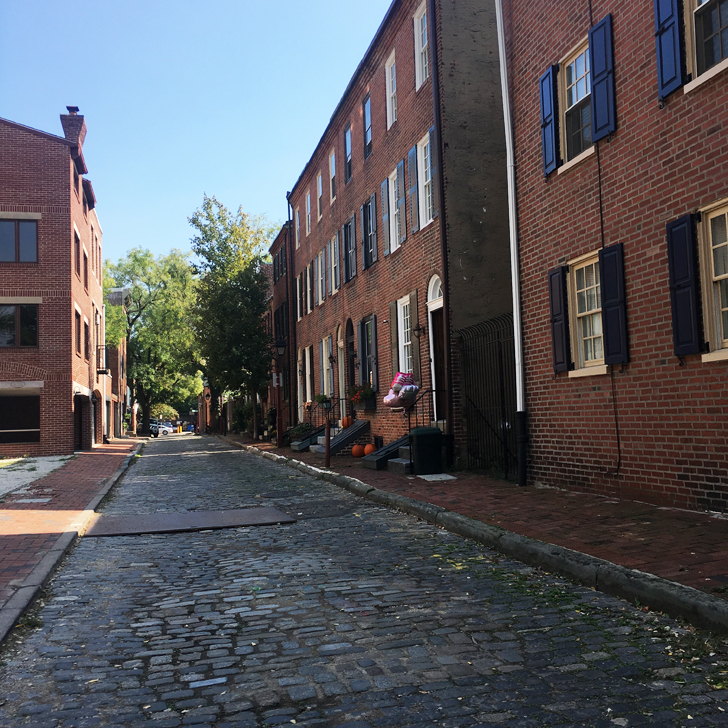 Along more cobbled and tree lined streets we headed down towards South Street. Which was great. 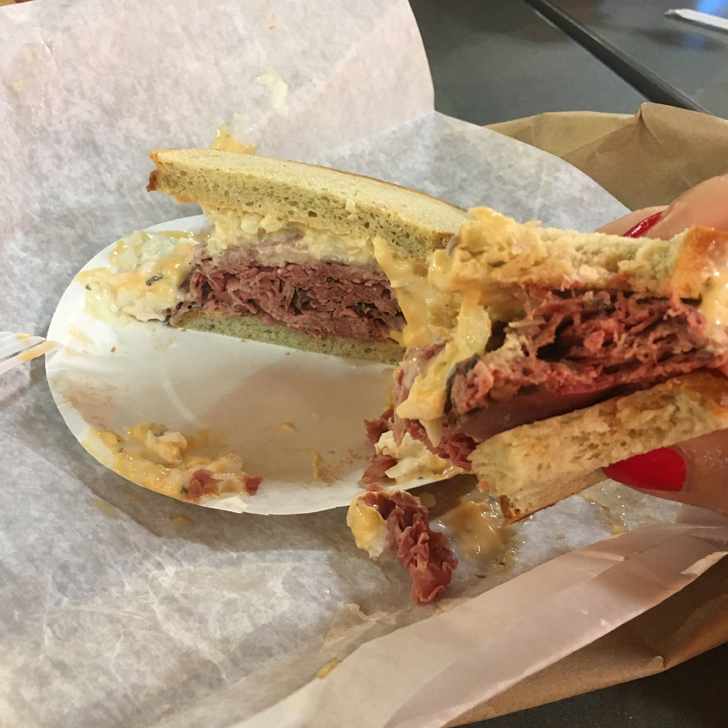 South Street is effectively one restaurant and deli next to the other. 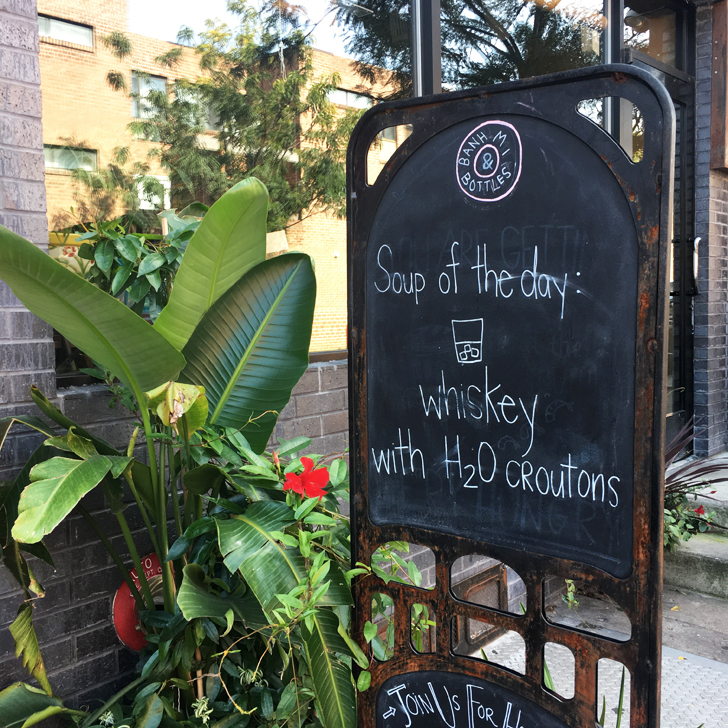 I would assume this is the perfect spot to go out in the evening. 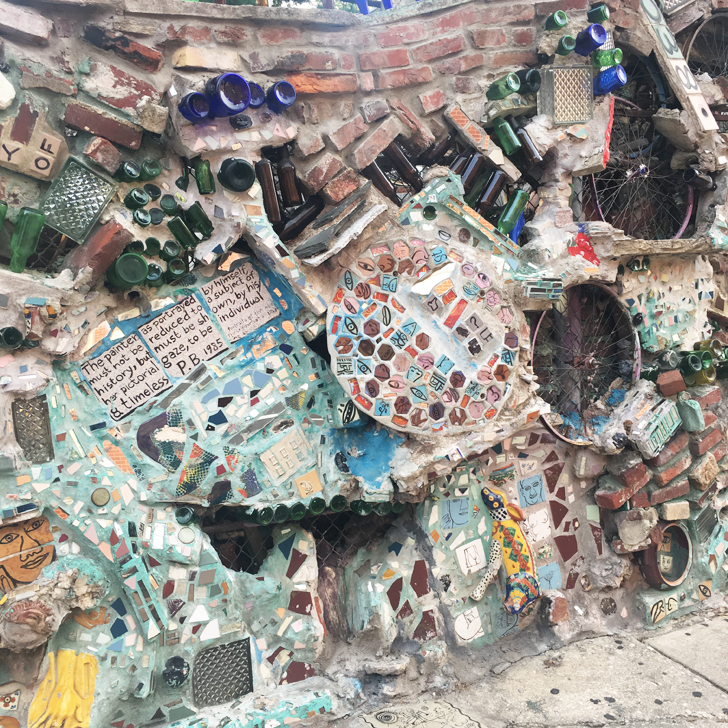 Next stop was the Magic Gardens. I had seen this marked on the street map, but wasn’t sure what to expect. So was quite amazed to see the mosaics. Unfortunately the Magic Garden is closed on Tuesdays so we were only able to catch a glimpse through the gates. After all that walking, it was time for more food (gosh, writing all this makes it sound worse than it felt on the day. Yes we did eat far too much that day, but we just found food in Philadelphia to be so good). 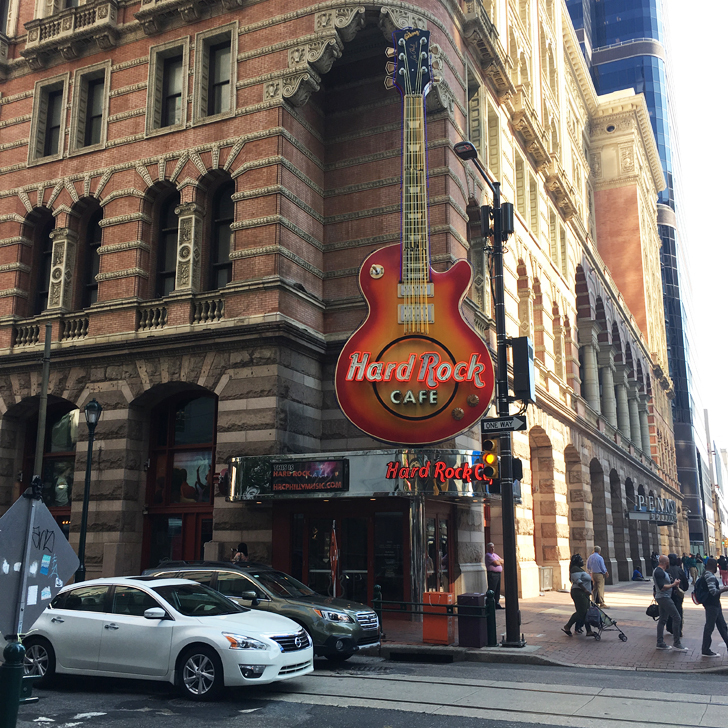 What shall I say… If in Philly, there is no way you can leave without having a Philly Cheesesteak. Which is exactly what we intended to do next. Because time was limited and it would be rude not to. 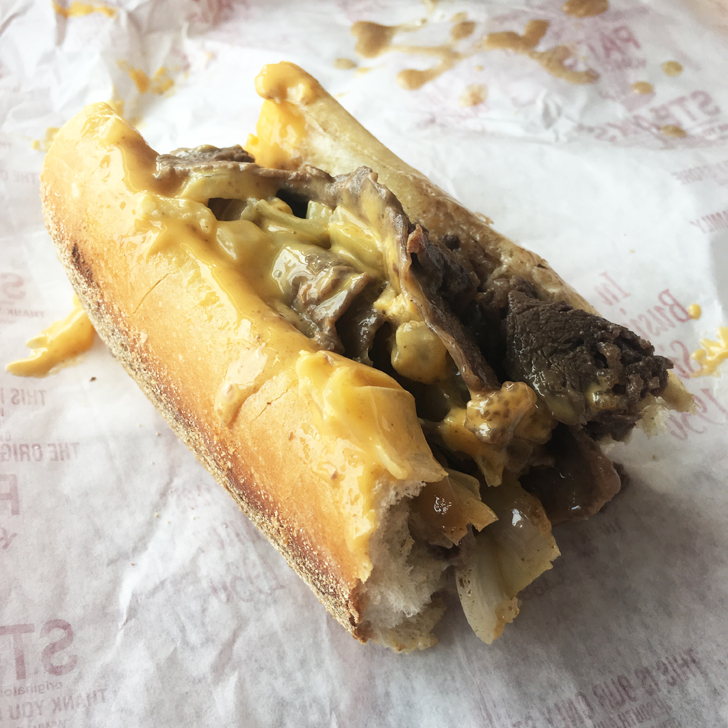 Where to find the best cheesesteak in Philly? 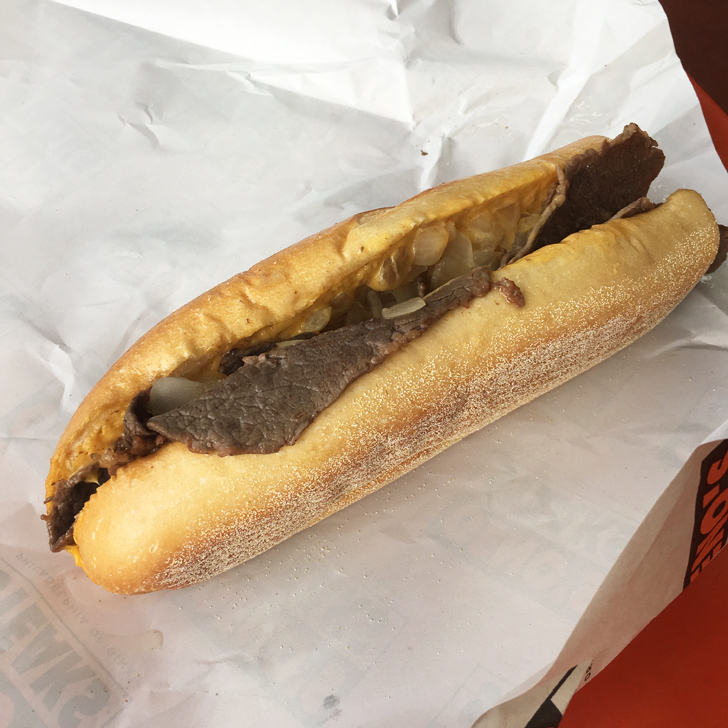 Obviously when heading to Philadelphia, you have to try an authentic Philly Cheesesteak. So this is what we did. 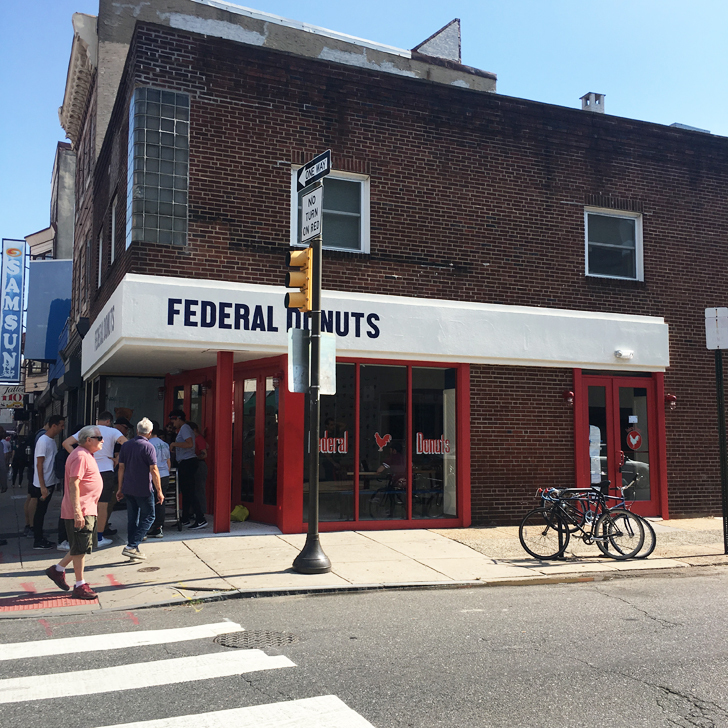 But where do you find the best cheesesteak in Philly? A little research ahead of our trip made it clear, that there were two places one should go. 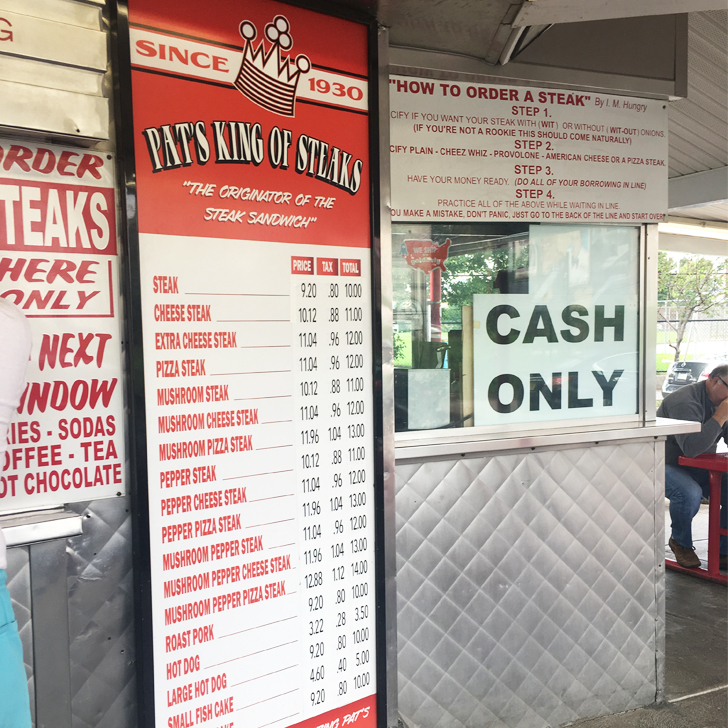 Geno’s Steaks and Pat’s King of Steaks. 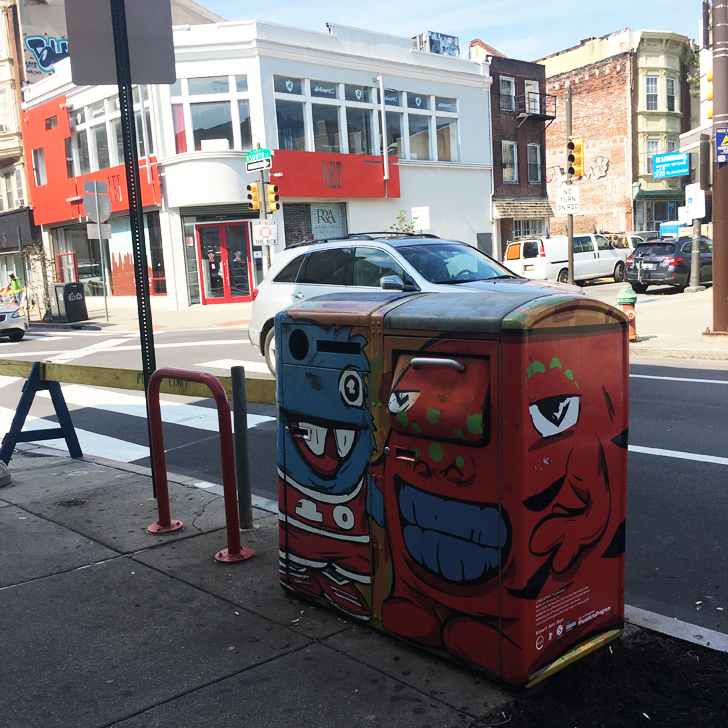 Luckily both are right across the road from one another (at the junction of South 9th Street and East Passyunk Avenue), so even though they are set a little away from the town center, you can easily do both of them at the same time. 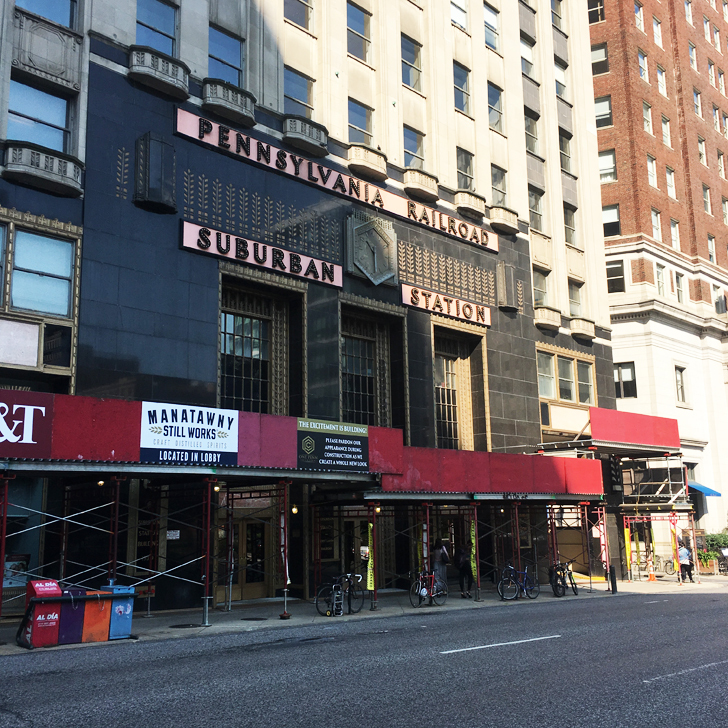 Starting from South Street, just head down 9th Street, through the Italian market (you guessed it, more food… but we ignored that, we were on a mission). 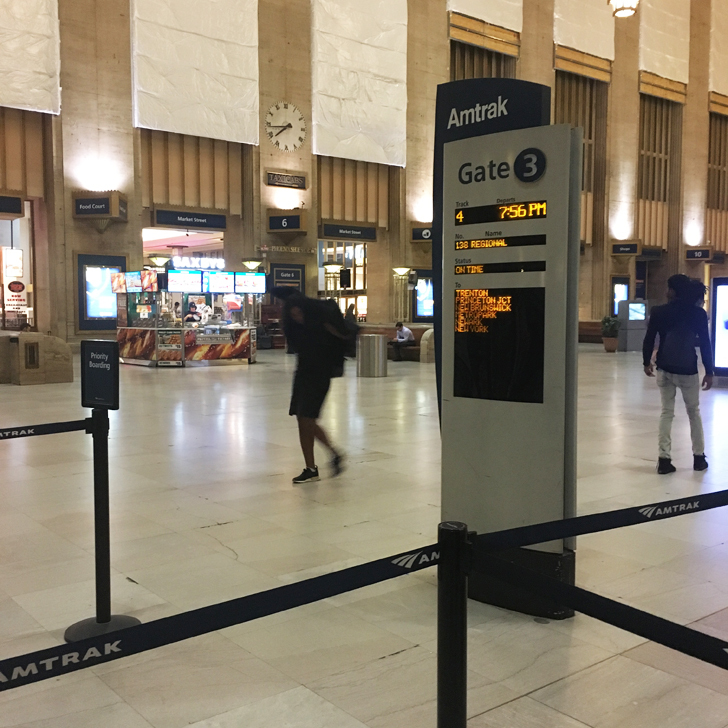 As we were only in Philadelphia for one day, but it was two of us, we decided to play it clever. 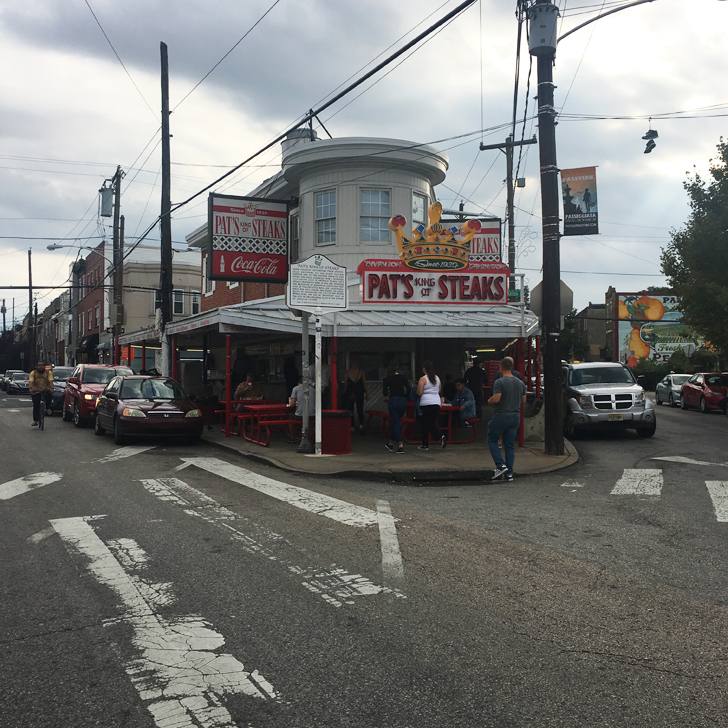 First we shared a cheesesteak at Geno’s, then crossed the road and ordered another cheesesteak at Pat’s. 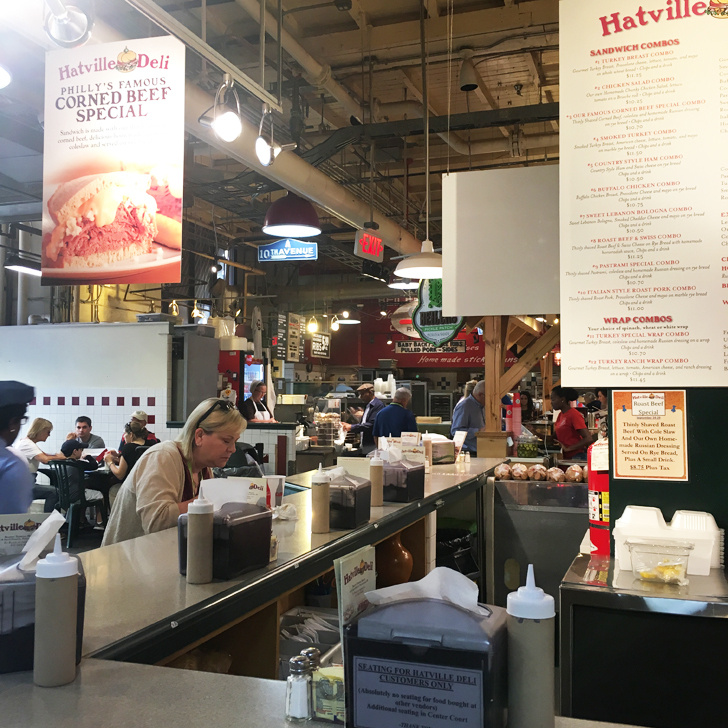 What better way to decide who makes the best cheesesteak in Philly. And to keep it authentic, obviously both needed to be ordered with Whiz (a cheese sauce). I tried to order it with a different cheese, but was told off (in a very friendly way) immediately and advised that the authentic experience could only be had if we went for Whiz. 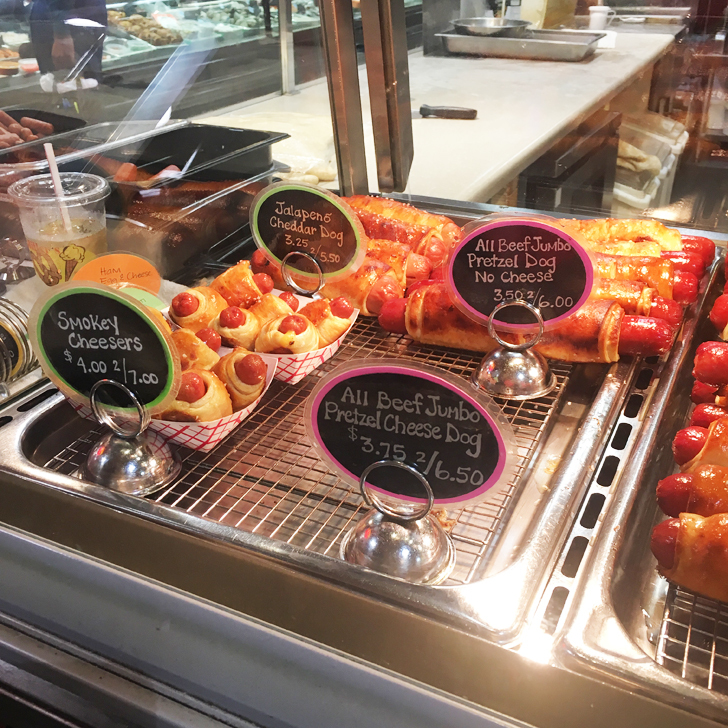 So what exactly is a Philly Cheesesteak I hear you ask (not)? A Philly Cheesesteak is sliced and grilled beef steak, served in a soft roll with grilled onions and a cheesesauce. 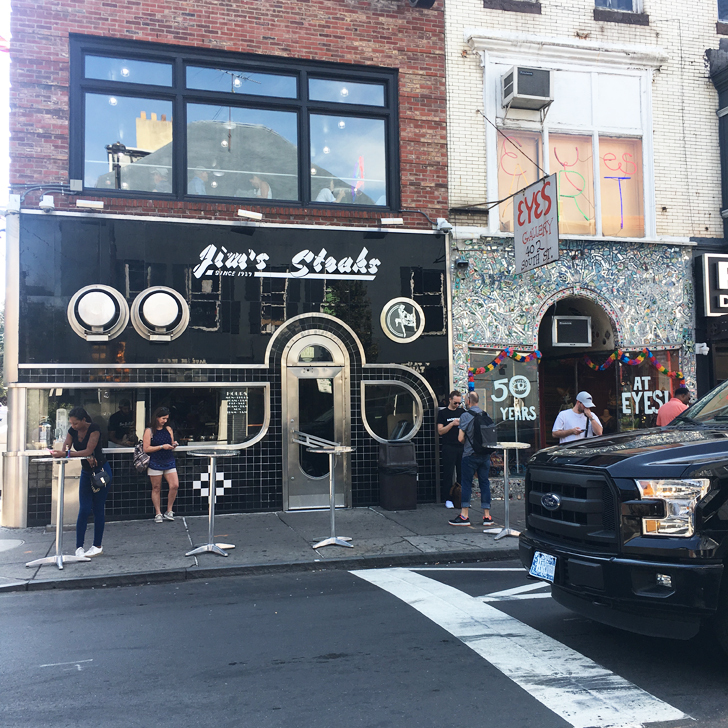 Both Geno’s and Pat’s charge $10 for the standard cheesesteak. Ensure you bring cash, as neither of them accepts credit cards (if you forgot, don’t panic. There is a cash machine across the road, but it will charge commission… how I know? Well guess who didn’t carry any cash). There is a separate window for everything. So if it is two of you, might be best to get yourself organised. 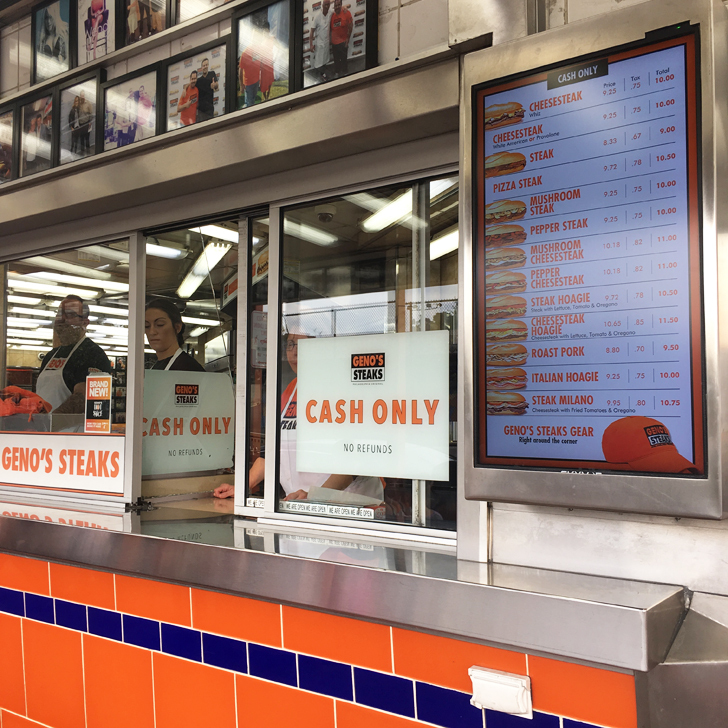 One queues for the cheesesteaks, one gets the drinks and/or fries. Both shops are open 24/7. And you will have an al fresco dining experience. As it is only the kitchens that are within the buildings. All seating is outside on the pavement (although underneath a canopy, offering a little protection in case of rain). By the way, if you are vegetarian, gluten free, vegan or anything like that, don’t even bother going there. There is no vegetarian (let along vegan) cheesesteak alternative available. The only vegetarian food option I could spot was the fries and pickles to accompany the cheesesteak. 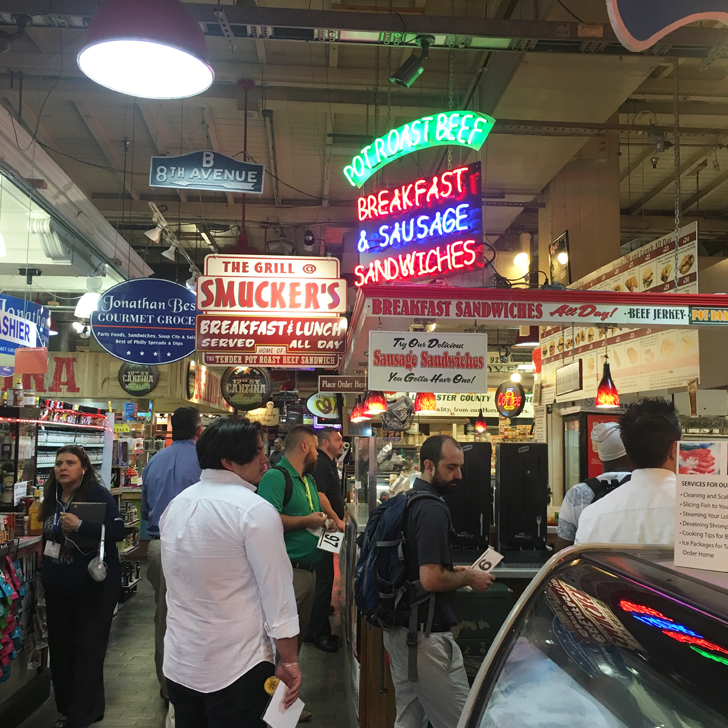 The big question now is: Where did we find the best cheesesteak in Philly? 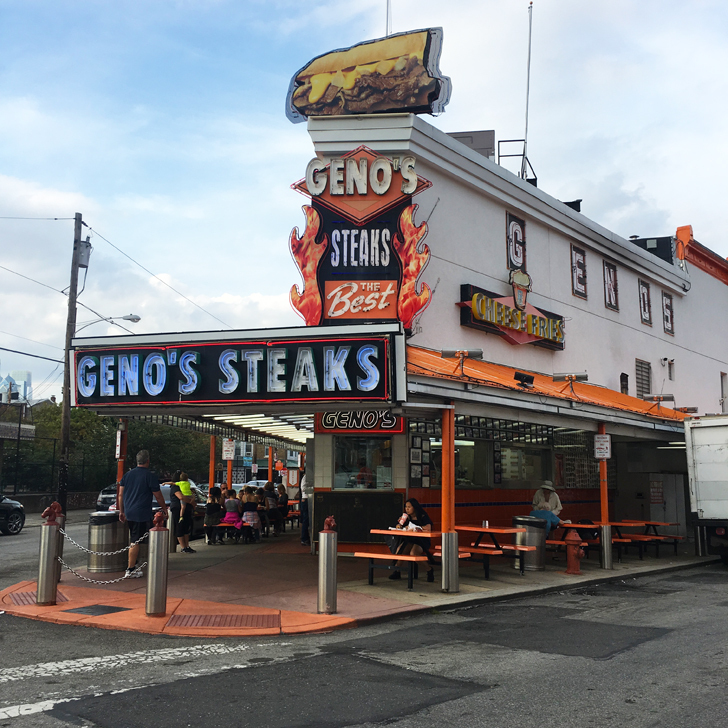 If I had to pick a winner, I’d go for Geno’s cheesesteak. Pat’s was a little too greasy for my liking. But if I am absolutely honest? I prefer the homemade Philly Cheesesteak version Mr T makes for me, even if it isn’t the real deal. But don’t take my word for it. Go and try both and decide for yourself. 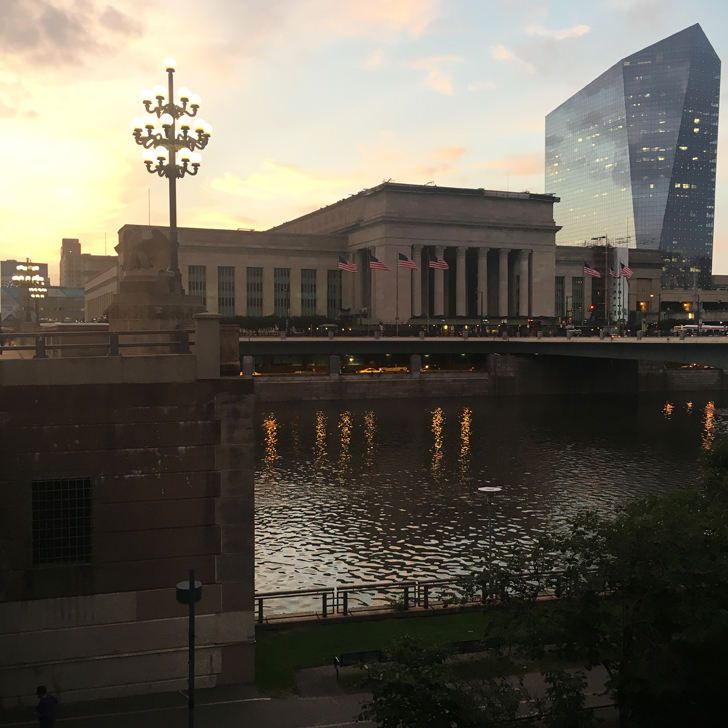 As it was late afternoon by now, we decided there were only so many things to see and do in Philadelphia in one day. But as we had a few more hours before our evening train back to New York, we opted for some shopping to pass the time. 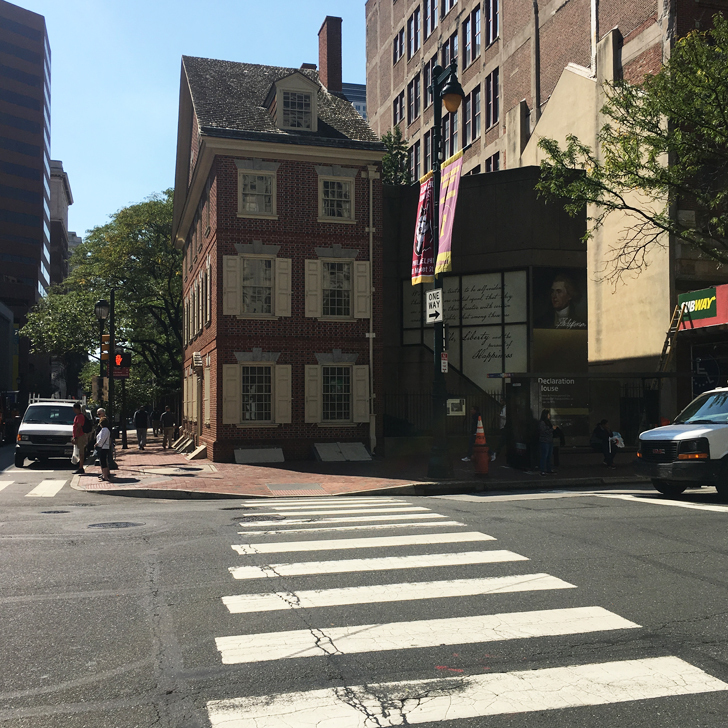 From what we’d seen earlier that day, Market Street seemed the best shopping place in Philadelphia. 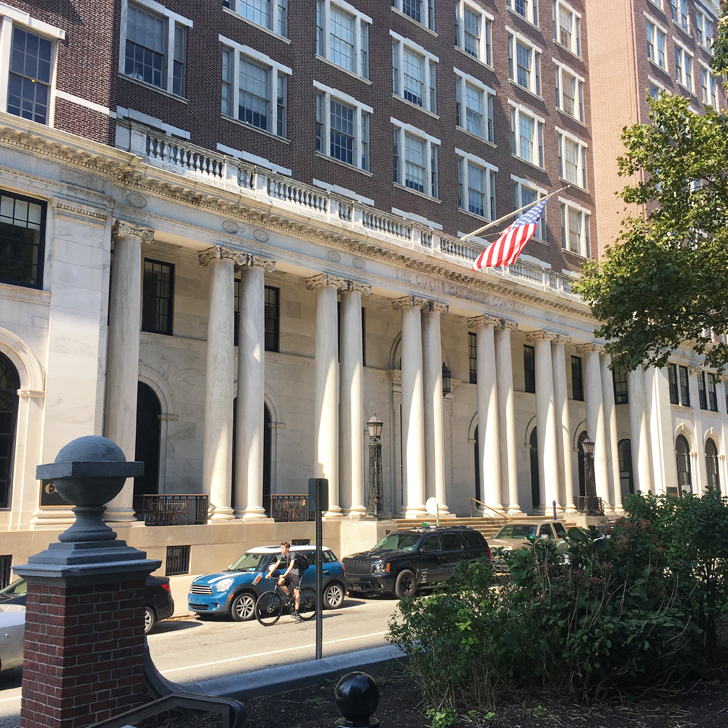 And since I can’t ever go past a Macy’s without going in (as you might be well aware, if you’ve read about my ‘Best Shopping Places in New York City’), I sure went into the Philadelphia branch of Macy’s. 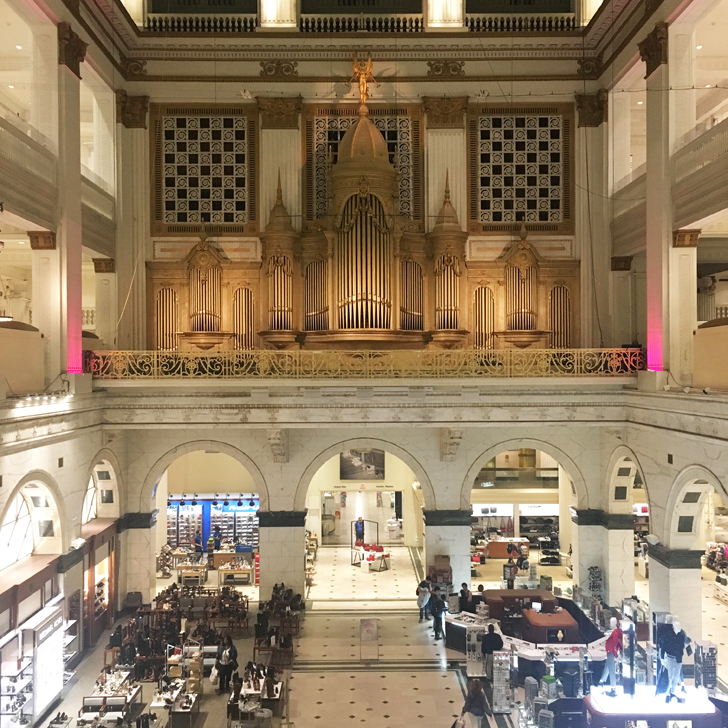 What I didn’t expect to find in there was the world’s largest pipe organ, the 100-year-old Wanamaker Organ, set in the grand court of Macy’s (the former Wanamaker Store). And since we were in the store exactly at the right time, we did hear the organ being played during a free recital (the organ recitals take place twice daily Monday to Saturday at noon and 5pm). So you see, occasionally there is a good side to being a shopaholic. Otherwise we would have totally missed it. 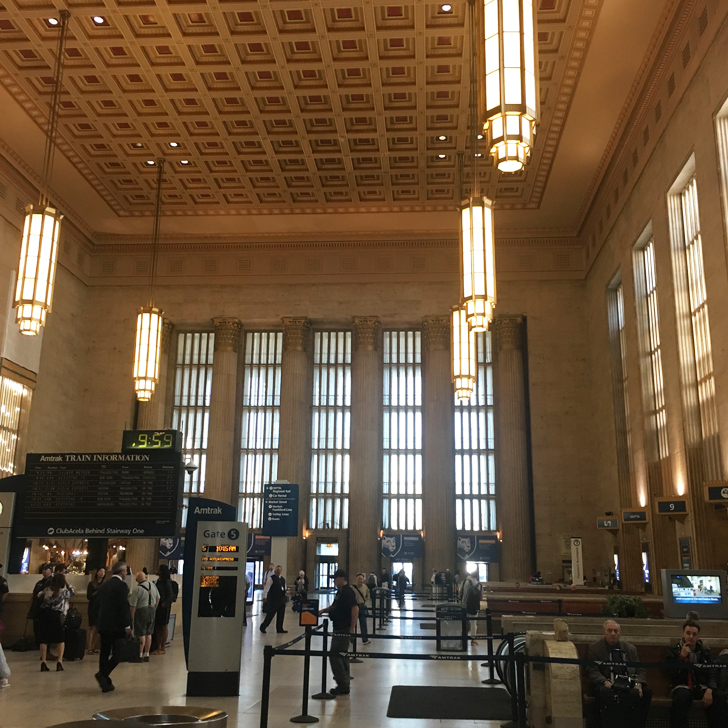 Eventually it was time to head back to 30th Street Station to board our train back to New York City. 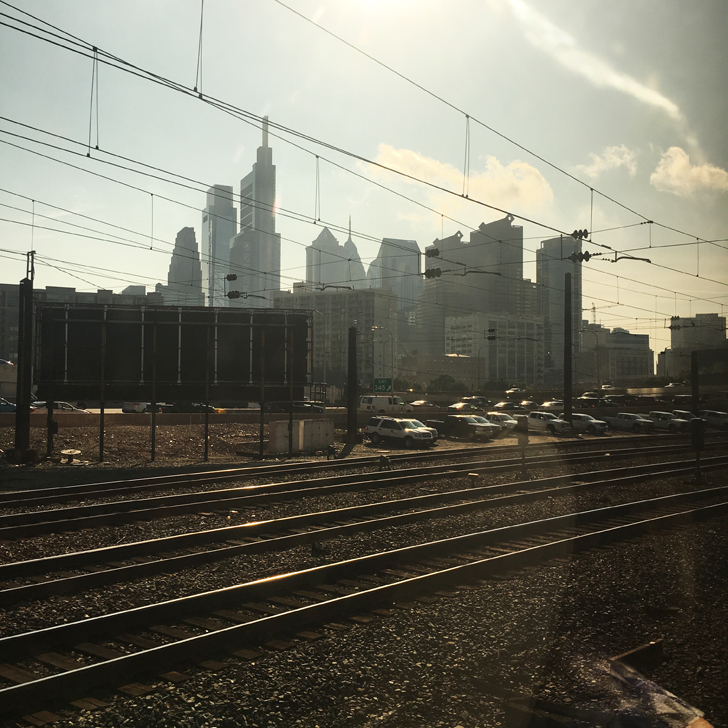 One last glimpse of Philadelphia as the sun started setting and off we went. 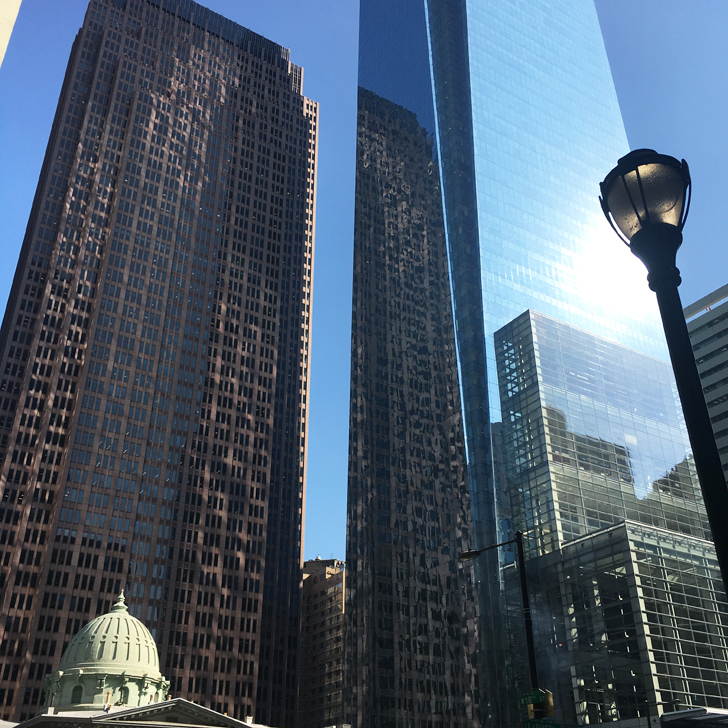 We thoroughly enjoyed our day trip to Philadelphia from New York. 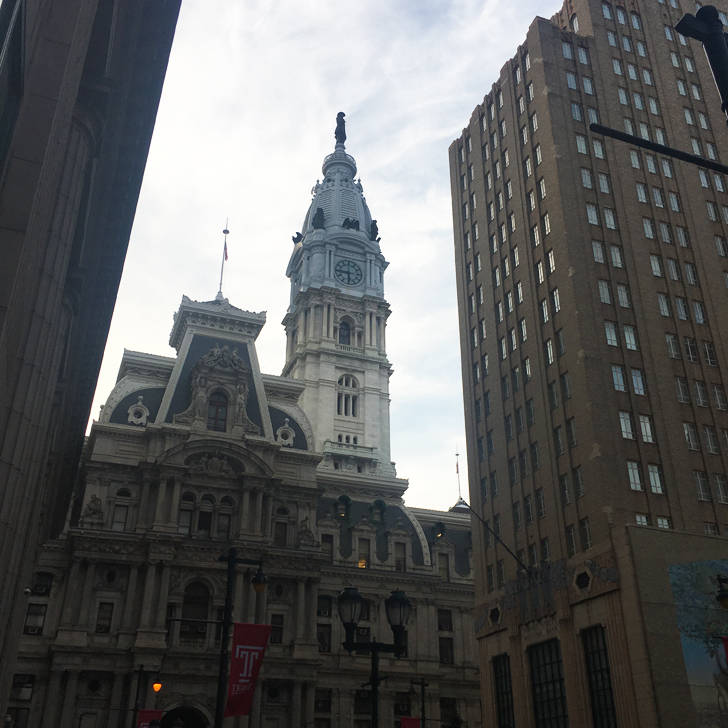 But in hindsight I’d say there are so many things to do and see in Philadelphia that one day wasn’t quite enough. Maybe it would have been better to allow for one overnight stay. 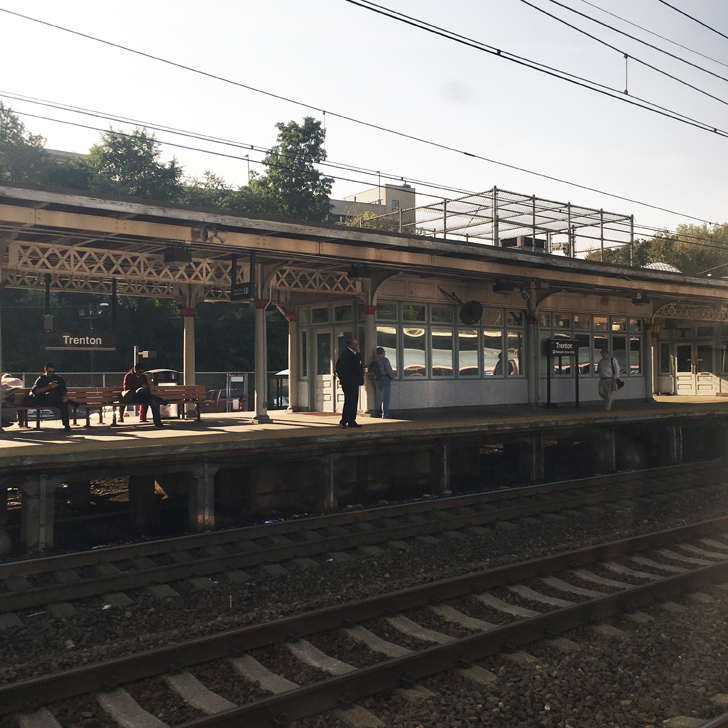 But with Philadelphia being so close to NYC, no one is stopping us returning for another day trip next time. 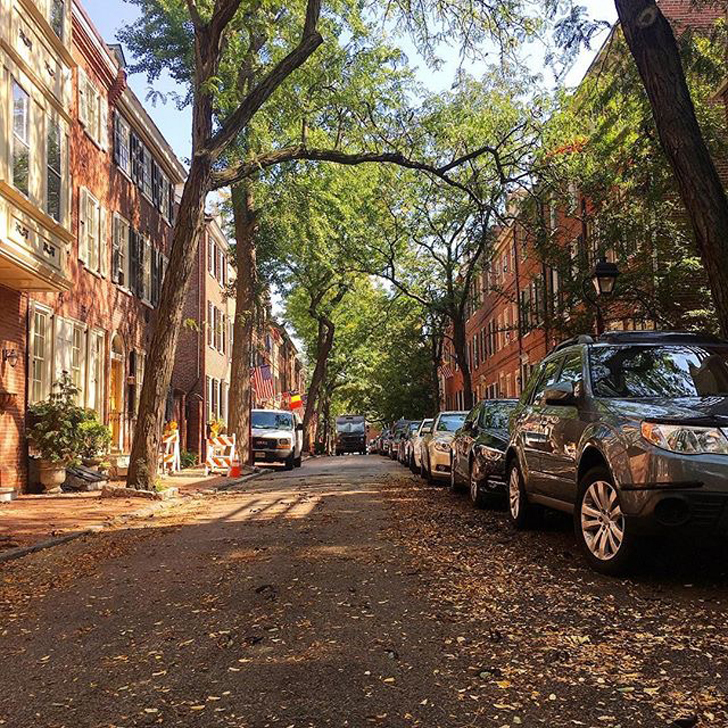 Have you been to Philadelphia yet? What was your favourite? I think you earned your food in Philly! Interesting sights to see. 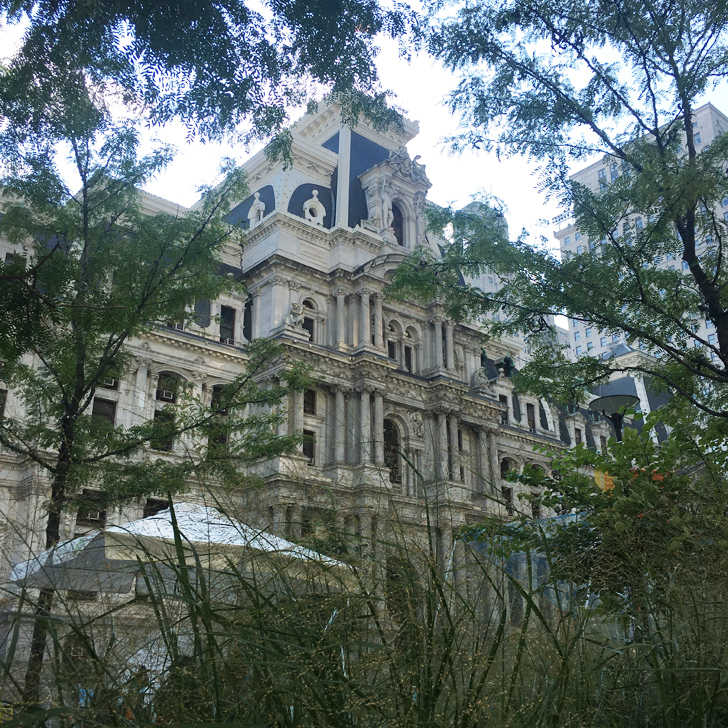 So much to do in Philly it is hard to fit it all in one day. 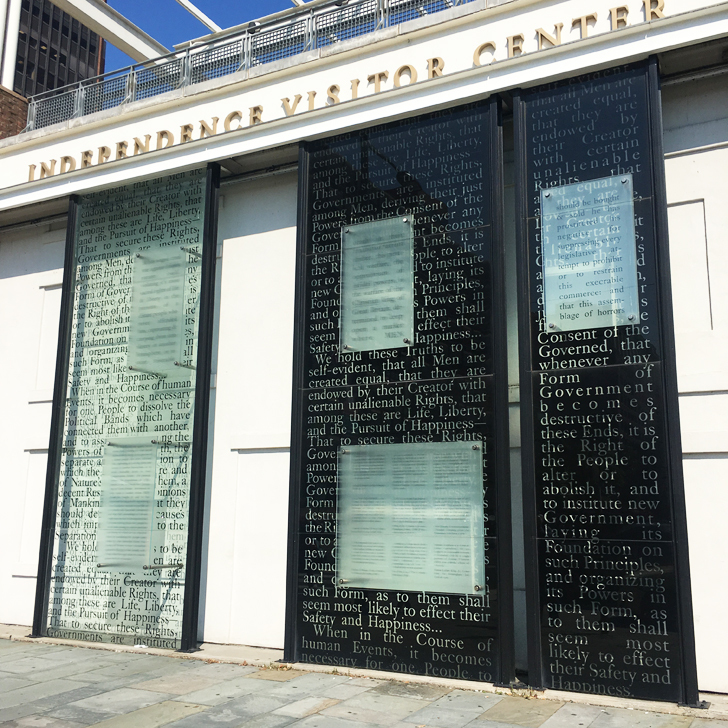 If you have time on your next the Liberty Bell exhibit is definitely worthwhile. I also enjoyed the Philadelphia Museum of Art. it is interesting that you prefer Gino’s. For me I thought Gino’s was too greasy. I am the worst. I live in NYC and still have not been to Philly. 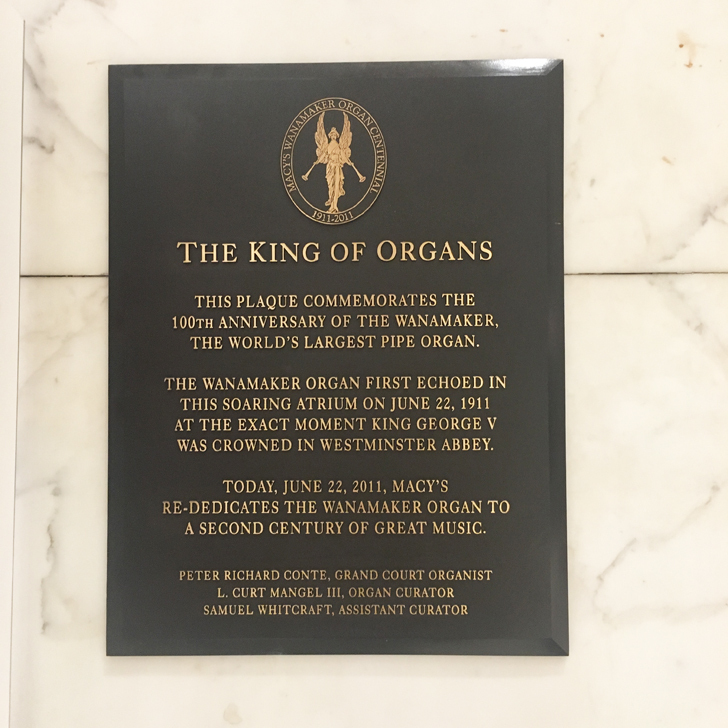 Also had no idea they had the world’s largest organ. Would also love to eat my way through Reading Hall Market. Haha, I know what you mean. I’ve lived in and around London for years, yet hardly made it north of Birmingham yet. 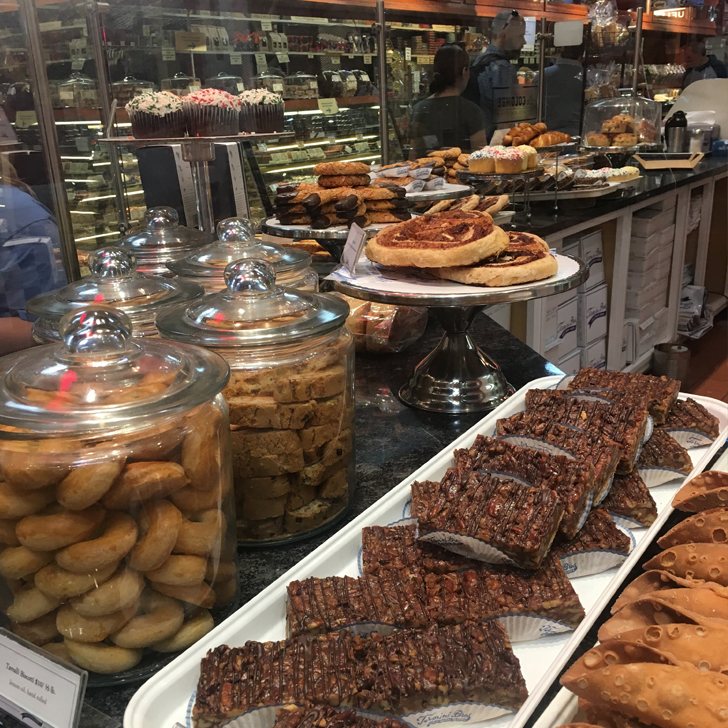 But yes, definitely go for a treat or two in Reading Hall Market.